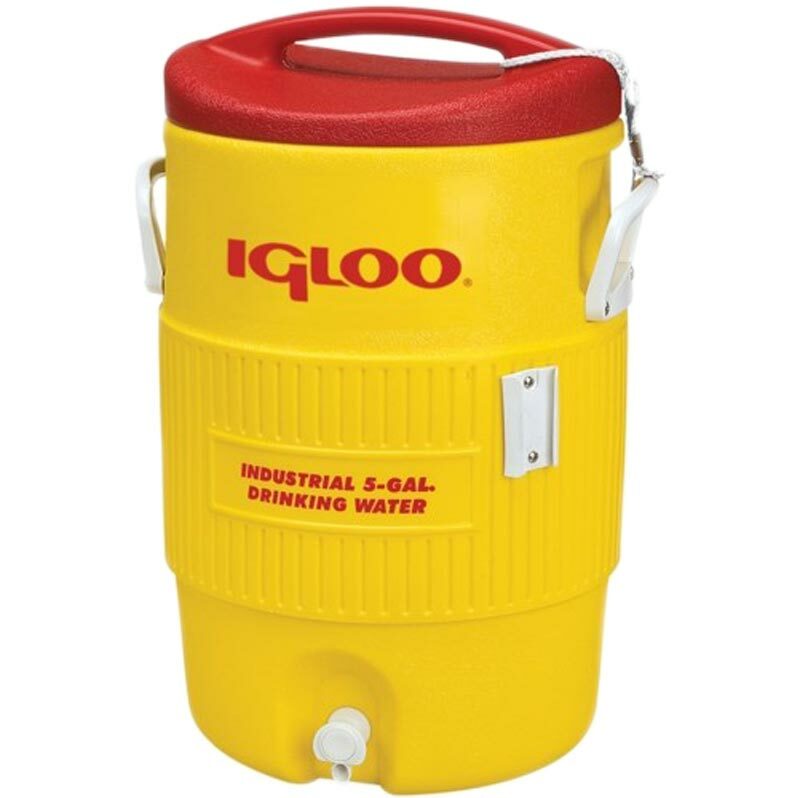 The Igloo 400 Series 5 Gallon Drinks Dispenser delivers cold, clean water. Rugged, durable Igloo 400 Series Industrial Strength Water Coolers keep water cold, clean and available. Built for the Real World the 400 Series takes the abuse of the toughest job site and the most punishing work crews. HDPE hide won't chip, peel, buckle or rust. Ultratherm insulation for maximum cold retention. UV stabilizers prevent fading, cracking in all exposures. White FDA Grade inner liner is easy to clean and resists stains and odours. Wide mouth pressure fit lid for easy filling. Keeper cord prevents lid loss (on 5 gallon and 10 gallon only). Reinforced handles and cup dispenser bracket. "Drinking Water" imprint meets OSHA requirements. 2 Gallon / 7.6 litre. 3 Gallon / 11.4 litre. 5 Gallon / 18.9 litre. 10 Gallon / 41.37 litre. 5 out of 5 Brilliant product! They are exactly what we needed! Speedy delivery as well!